Need Help with Your Website? Start Here! 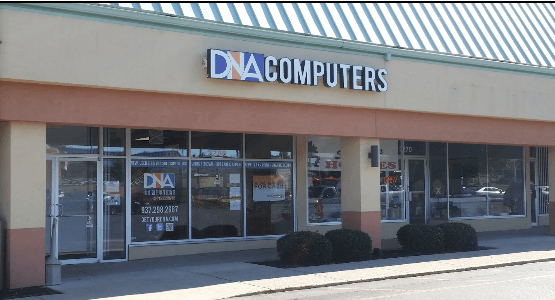 At DNA Computers and Printing, we offer full service web design and online marketing! We offer free consultations and you can also use some of our favorite tools right from this post. Do you already have a website? You may have heard of SEO, and you probably get a lot of spammy emails offering SEO services and to get you to the fist page on Google. There is a lot of misinformation out there about how to rank higher in searches. The way that we increase search engine placement is based on tried and true techniques. We stay current on the methods that search engines, like Google, use to rank sites, and we build sites using modern coding standards, like HTML5 and Responsive design (so the site presents well to the 30%-40% of online traffic from phones and tablets). 1. Get a FREE detailed site report using our site auditing tool below. This tool will generate an easy to read PDF report and show you some of the ways you can improve your website. Not sure how to make the changes? Our contact info is also on the report, so give us a call or email and we can help you! 2. See if your website has any Structured Data, and if so, what it is telling search engines about your business. Structured Data is data that is coded into the pages of your website to give detailed information about your business to Google and other search engines. Ever see a nicely formatted product in Google search results? That is a result of embedded structured data. Structured data also provides information such as: business type, address, phone number, business hours, location, map coordinates, and more! Google has a free and easy tool, located here, to test your site for structured data. Click the fetch URL link, enter your website address, and click “fetch & validate”.